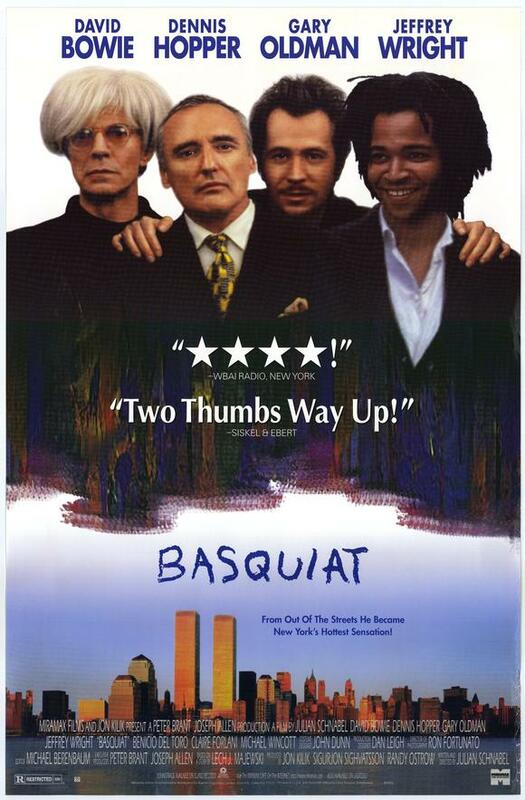 On Thursday, April 7 at 4 p.m. JCSM will screen the biographical drama, “Basquiat” in the auditorium. 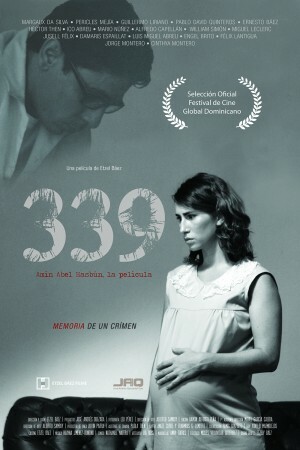 Run time is 108 min. 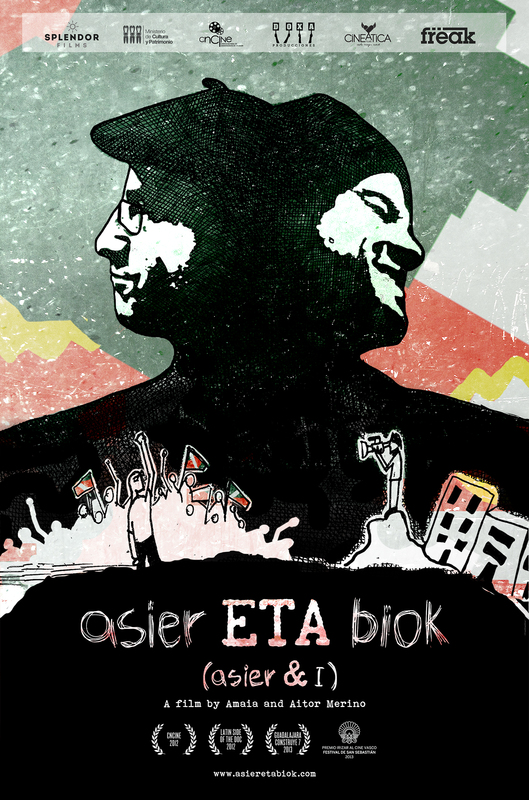 The film will be introduced by Freda Hadley, visiting assistant professor of ethnomusicology, Oberlin College. Enigmatic and expressive, Jean-Michel Basquiat (1960 – 1988) was a prolific artist that sliced through society’s unassuming veneer to highlight injustice and reveal greater truths. 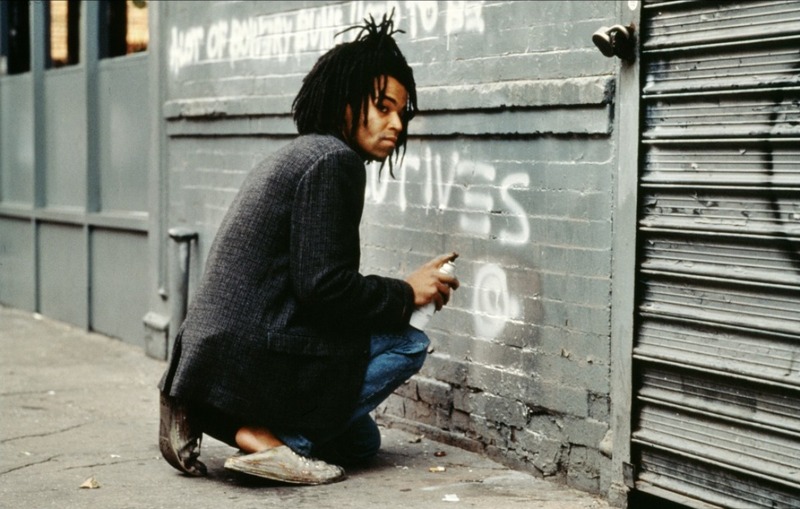 In his first artistic endeavor, Basquiat took to the streets under the name SAMO where he completed textual pieces of graffiti comprised of trenchant observations about the world at large. Alongside the graffiti tradition, Basquiat regularly painted on various media, from a girlfriend’s dress to a stack of tires. Basquiat cultivated a bold and colorful Neo-Expressionist style that straddled the line between abstraction and figuration. His works were covered in snippets of scrawled text, drawings, and historical information, pulling upon a powerful amalgam of themes including pop-culture, African-American culture, music and youth culture which coalesced into a powerful visual language. Basquiat’s art focused on pointed critiques of contemporary society, condemning systemic racism and classism. His arresting images captivated the attention of the market and critics alike. Even today, his works, still highly revered and desired, have been sold for more than $16 million dollars. Written by Laura Pratt, Senior, History. FILM@JCSM stands for “Fostering Interdisciplinary Learning through Movies.” The 2016 spring semester selections are programmed in conjunction with Face to Face: Artists’ Self-Portraits from the Collection of Jackye and Curtis Finch Jr.
FILM@JCSM stands for “Fostering Interdisciplinary Learning through Movies.” This semester’s selections are programmed in conjunction with Along the Eastern Road: Hiroshige’s Fifty-Three Stations of the Tokaido. 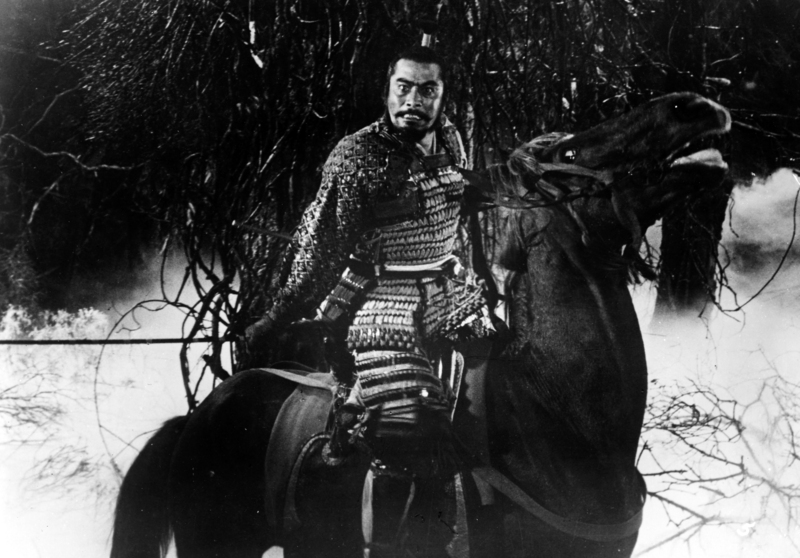 You can see “Throne of Blood” on Thursday, December 3 at 4 p.m. in the auditorium. Admission is free, advance ticket reservation is encouraged. Reserve your tickets. Premiering in Japan on January 15, 1957, “Throne of Blood” is writer-director Akira Kurosawa’s reimagining of Shakespeare’s Macbeth. In keeping with the Bard’s exploration of human nature, the film follows Taketoki Washizu (Toshirô Mifune) as he wrestles with ambition and greed, murdering his way to the top. 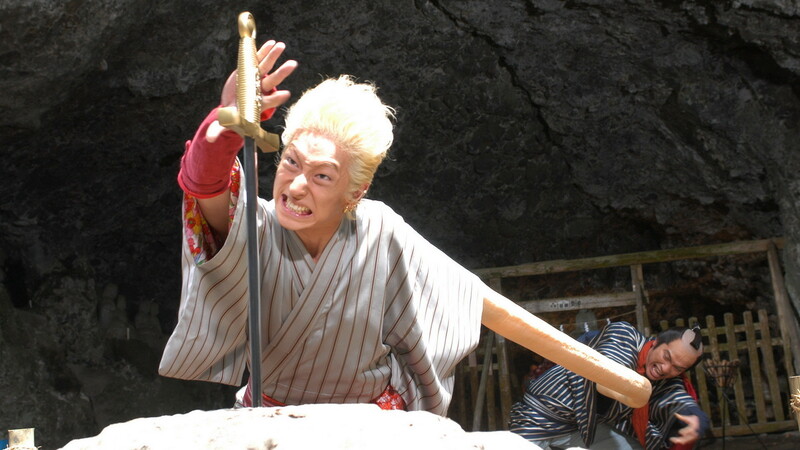 Set against the backdrop of sixteenth-century feudal Japan, the movie harkens back to the highly stylized performances of Noh, a historical genre of theatre that originated some time in the fourteenth century. Noh performances rely heavily on body language and facial expression, and Kurosawa uses this play-form to create the eerie, strange, and at times absurd atmosphere that characterizes Macbeth. 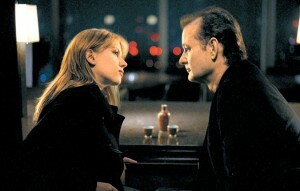 You can see “Lost in Translation” on Thursday, Nov. 12 at 4 p.m. in the auditorium. Admission is free, but advance ticket reservation is encouraged. Reserve your tickets. 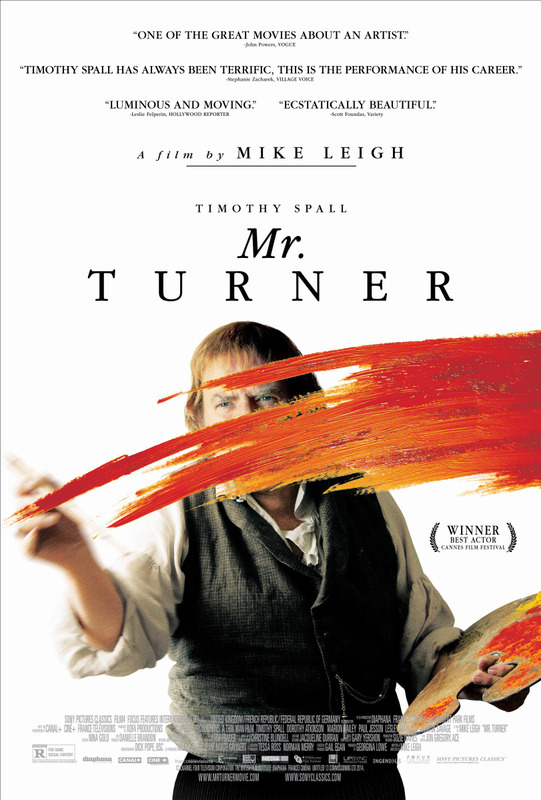 Chris Keirstead, Department of English, Auburn University, will introduce the film and guide discussion. “Lost in Translation” is director Sophia Coppola’s 2003 American drama that follows two characters as they travel to Tokyo, Japan. Touching on universal themes like loneliness and isolation, Coppola’s treatment of the two main characters, Bob (Bill Murray) and Charlotte (Scarlett Johanson), centers on the sometimes strange and unexpected bonds that tie. 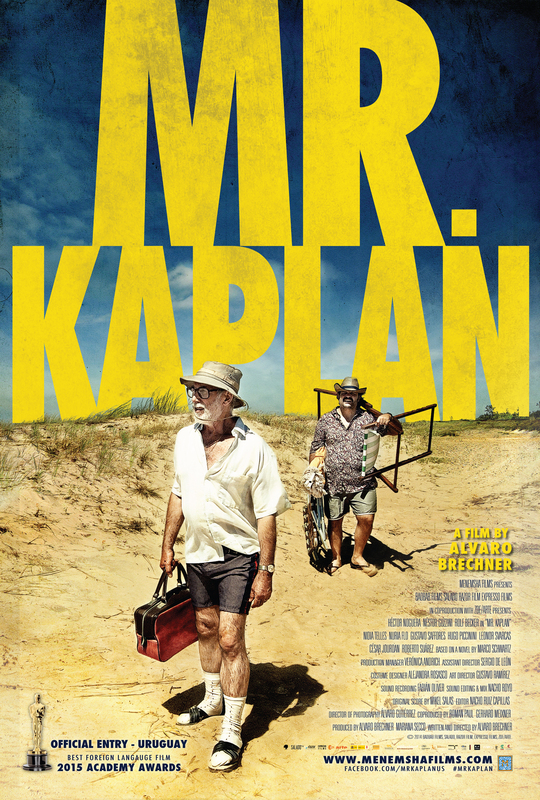 Bob is a middle aged, washed up actor past his prime who has traveled to Tokyo to shoot a commercial, while Charlotte, the unhappy, young wife of a neglectful and possibly philandering husband, finds herself displaced from America as a tag along to her husband. 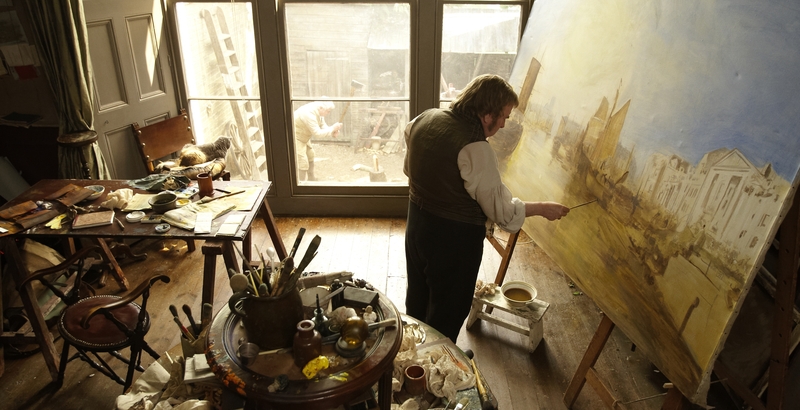 What is striking is the often subtle third character of the city itself that interacts with Bob and Charlotte as they attempt to negotiate the unfamiliar world to which they journey. What the film does exceedingly well is to highlight a particular experience of “tourism” into the unknown; we have strangers in a strange land completely alien to them, longing for some kind of connection that has been lost as they constantly misread situations and Japanese culture. It’s that strangeness and isolation that serves as the catalyst to the deep bond they form over their shared loneliness in a land completely foreign to them. Several American critics have hailed “Lost in Translation” a cinematic masterpiece and a master class in film acting. 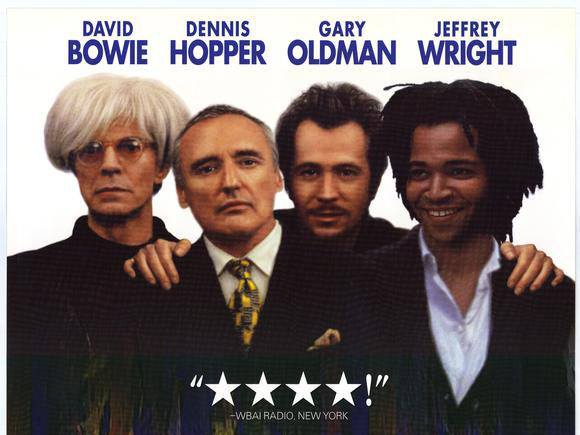 “The New York Times” points out Coppola’s directorial interest in “emotional way stations” not unlike the Inns along the “Hiroshige’s Fifty-Three Stations of Tokaido.” Other critics, however, highlight the decidedly one-sided, American point of view on which the comedy hinges, using the vibrant city and its Japanese inhabitants as a final punch line. Like with most great films, the jury is still out on its nuanced treatment of the displaced characters and their new and unfamiliar locale, and so we welcome you to join us in finding your own translation. You can see “Yaji and Kita: The Midnight Pilgrims” on Thursday, October 29 at 4 p.m. in the auditorium. Admission is free, advance ticket reservation is encouraged. Reserve your tickets. 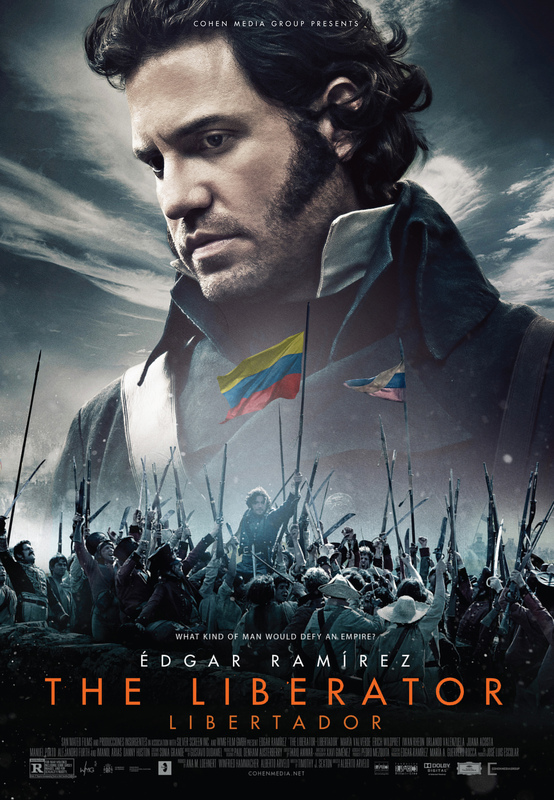 Ryan Cook of Emory University’s Film and Media Studies will introduce the film and guide discussion. Kankur? Kud?’s “Yaji and Kita: The Midnight Pilgrims” tells the story of two gay Samurai lovers, Yaji-San and Kita-San, as they set out on a quest in search of redemption and healing. Yaji is the sober if childish hero who, although married, leaves his city behind to travel along the Tokaido Road to save Kita. The plot’s genesis revolves around their pilgrimage to the Ise Sanctuary in order to cure Kita of his rampant drug addiction. The tensions of the fantasy and absurdity are summed up in a statement made early on in the film as Kita questions the world around him: “I can’t make heads or tails of reality.” While it sets itself up as a period film, the feel is quickly fractured by motorbikes, musical numbers like “Born to be Gay,” and a surreal video game dream-like sequence that leaves us faced with the same questions that haunt Kita. The turning point is a mysterious postcard from the Shrine that is more advertisement than letter with the slogan, “Reality is Here.” This interjects the first punch of color into the movie and eventually sets the film’s world ablaze with bright and rich colors (and a certain strangeness that wars against “reality” until the credits roll). Loosely based on “T?kaid?ch? Hizakurige,” a picaresque comic novel published in twelve parts between 1802 and 1822, and a kitchen sink of popular culture references, there is much that feels lost in translation. But if the first half of the film is meant to leave us asking “why?” (and indeed, half way through the film a character echoes these sentiments by stating, “I’m lost”) the second half determines to find us again with answers of humor, escape, and compassion. Plan a Field Trip to Your Museum! Make the Jule Collins Smith Museum of Fine Art, Auburn University part of your school year! Our mission is to bring the arts to our community. 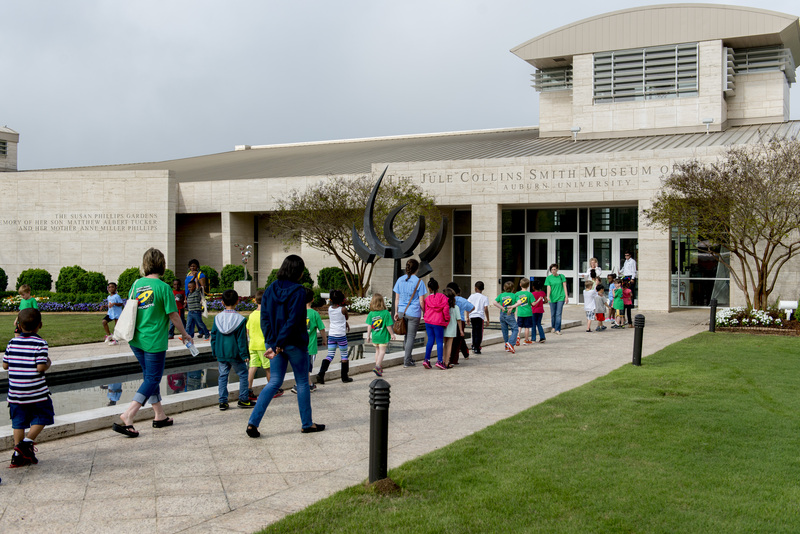 We invite classes, community groups, clubs and organizations, and other groups of school-aged children to visit our museum for a guided tour led by trained museum educators and docents. Exploring the galleries with a docent offers amazing learning opportunities for your students to engage with art, discover more about artists and their processes, and have meaningful discussions about the arts and their relevance. Our docents work to engage students in casual dialogue, encouraging peer discussion, critical thinking, and hands-on analysis. The arts are an integral part of all cultures, and the Jule Collins Smith Museum of Fine Art is proud to explore the relationships of artists and their historical context with your class. Guided tours offer a wealth of relevant information based on the interests of each group. 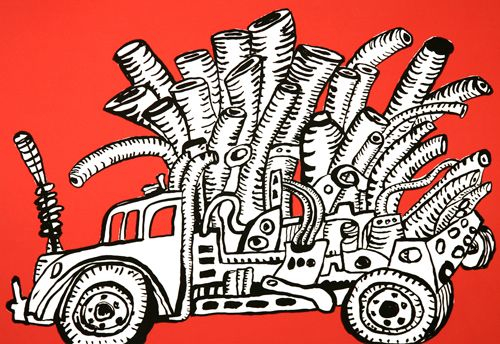 Take a look at the current exhibition schedule to plan your visit. Guided visits are recommended for students who are at or above pre-k level and last about an hour. Groups are free to explore the Museum on their own after the tour. We ask that groups have no more than 75 students per visit, with one chaperone required for every ten students. Guided visits are available at any time during our museum hours listed below. While the museum is closed to the public on Mondays, tours may still be scheduled in advance for university and K-12 classes. The Jule Collins Smith Museum of Fine Art is pleased to offer art-making activities to supplement in-gallery tours and discussions. After exploring and discussing the works on view, students have the opportunity to take part in related hands-on lessons lead by members of the museum’s education staff. These activities serve to provide a personal tangible art experience for our young learners and encourage material exploration and problem solving. 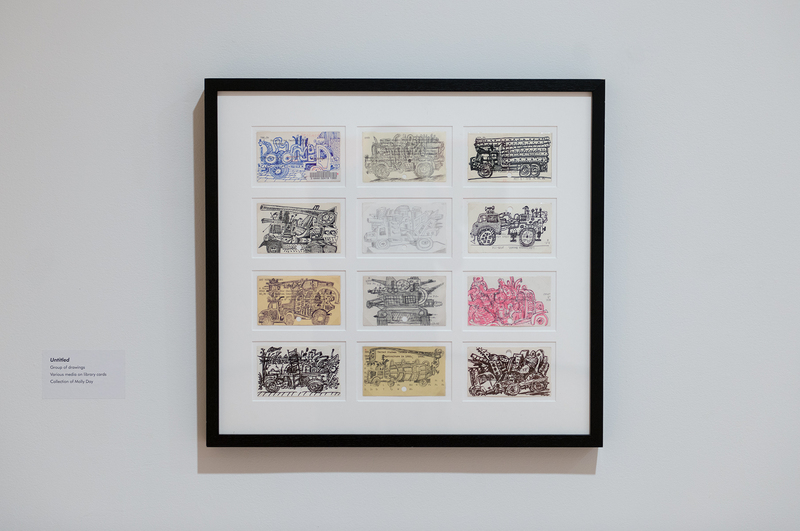 Based on the exhibitions featured at the museum during the 2014-2015 academic year and on works from the permanent collection, JCSM issued a call for written work responding to individual works of art experienced firsthand at JCSM. Graduate and undergraduate students were encouraged to submit writing of any length, from single poems or personal essays to short stories or seminar papers. The students selected received prize money and an opportunity to present their work to the public during a museum program. Additionally, students added an online publication credit to their resumes. We are featuring the winner’s work on the museum website. Please take a moment to read our guest posts from this year’s student writing competition. The museum will once again issue a call for papers for Fall 2015. For more information, contact Scott Bishop, curator of education and university liaison at 334.844.7014.
my lips across the cobblestone. engines growling in the dark. wounds fresh and weeping sap. your teeth into the concrete. and I’ll sing you raspy like Bacall. to rip the peach of your skin. pink with the acetone of you. the fish scales in the backseat. breath would kiss me full. As a part of expanded evening programming, Jule Collins Smith Museum of Fine Art, Auburn University will host the Third Thursday Poetry Series. The next reading is Thursday, March 20, 2014 at 7:00 pm. The evening will begin with tapas, beer, wine, and cocktail menus in the Museum Café at 5:00 pm and a jazz performance by Patrick McCurry and Dan Mackowski at 6:00 pm. The March featured poets are Gabby Bates and Madison P. Jones IV. Galleries remain open until 8:00 pm on Thursdays, and admission is free courtesy of JCSM Business Partners. Ken Autrey, who coordinates the series with Keetje Kuipers, said that the series is the only monthly poetry offering in the Auburn-Opelika area. “The Third Thursday Poetry series was started in early 2013 by Jason Crane, with readings held at the Gnu’s Room in Auburn,” said Autrey. “When Jason moved, and the Gnu’s Room moved to Opelika, Keetje and I revived the series at Bell + Bragg Gallery.” Autrey said that when that venue closed, he was able to partner with the museum to provide an outlet for the poetry written and published in the region. 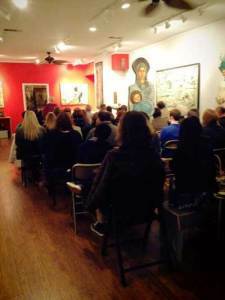 “Strong attendance at the readings demonstrates that there is a loyal local audience for poetry,” he said. “Our cooperative arrangement with the Jule Collins Smith Museum of Fine Art affirms the general vitality and importance of the arts in our community—visual, musical, and literary. The mix of programming at the museum suggests that the various arts cannot only coexist but can enrich one another,” he said. “We begin our program with a 15 to 20-minute open mic reading, followed by our featured poet, but on March 20, we have two featured poets,” said Autrey. Gabby Bates graduated from Auburn in December 2013 with a Bachelors in Creative Writing and Spanish and will pursue her MFA in Creative Writing at the University of Washington. She was accepted to the Bucknell Seminar for Younger Poets with publications in Broadsided, Redactions, andSouthern Humanities Review. She is also writing a young adult novel. Madison P. Jones IV is a master’s student, studying literature at Auburn University. He is also founder and editor-in-chief of Kudzu Review, a southern journal of literature & environment. His recent work includes poetry in Harpur Palate, Portland Review, Tampa Review, and Canary Magazine. He is the recipient of the 2012 Robert Hughes Mount, Jr. Poetry Prize. Charitable, tax-deductible gifts in support of the Jule Collins Smith Museum of Fine Art or other programs at Auburn are made through the Auburn University Foundation, which receives such gifts on the university’s behalf. Donors, alumni, and friends can make a philanthropic gift in support of museum collections, programs, or exhibitions. 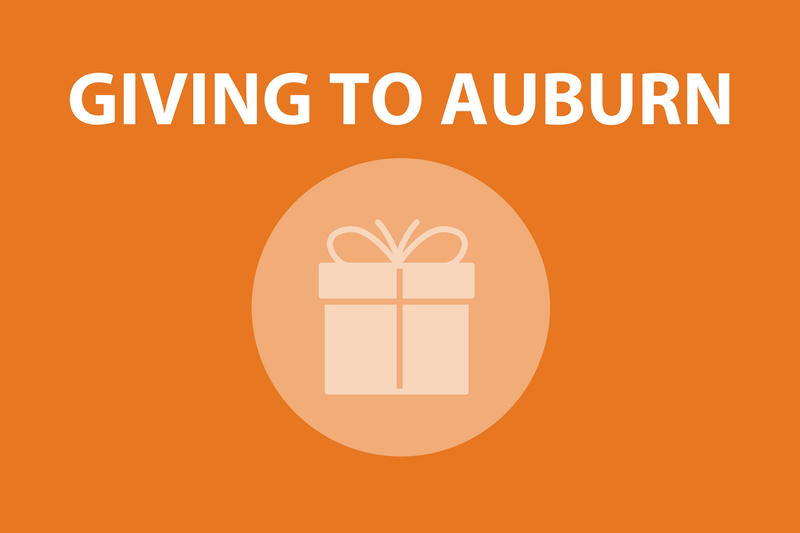 Learn more about the various means of donating to Auburn University. Preview what’s currently on view, or come to one of our many free outreach programs.